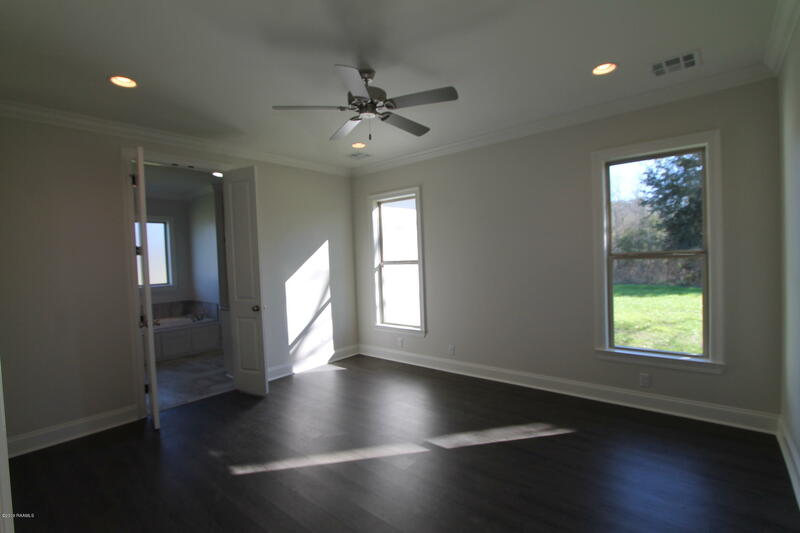 Welcome to this modern farmhouse 3 bed, 2 bath open and split floorplan home built by S Construction. 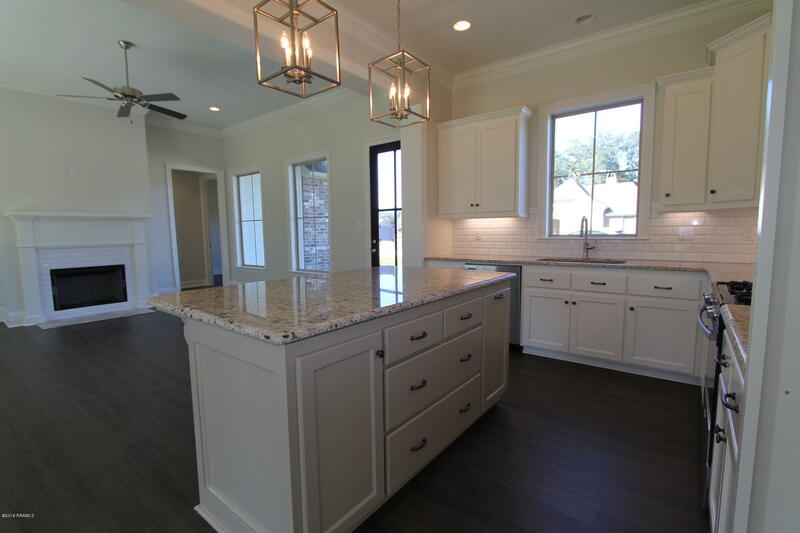 This home is nestled in the back of Beau Soleil Subdivision (behind Meaux Elementary) surrounded by mature trees and very close to the neighborhood pond. 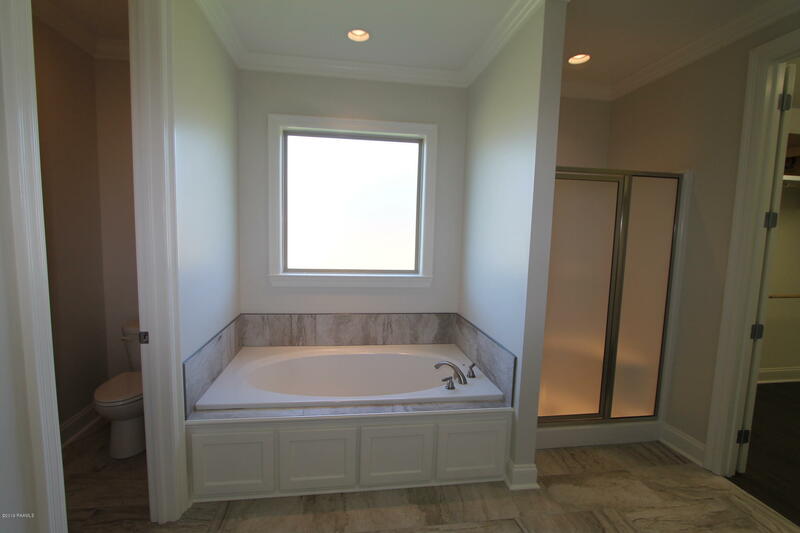 The home sits on a .3 acre lot (measuring 110 feet wide by 120 feet deep). 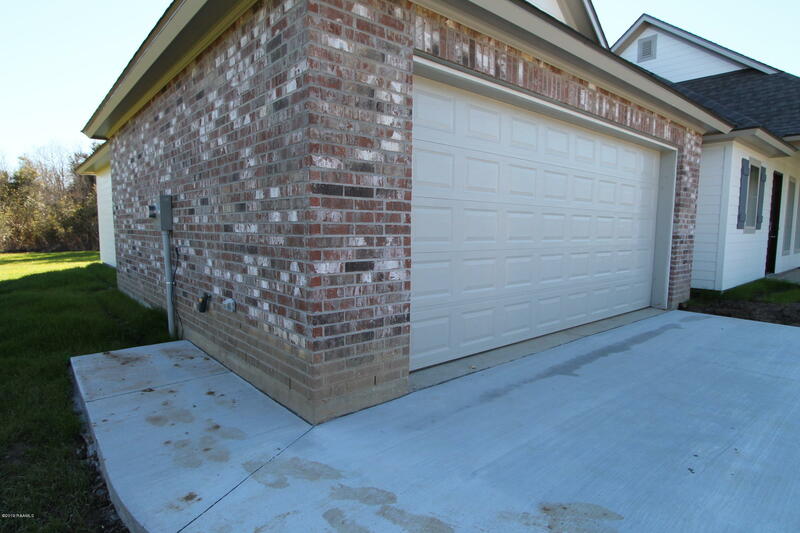 Driving up to the home notice the extra cement slab for your trash cans on the side of the garage and the nice big front porch with room for rocking chairs accented by stained beam columns. 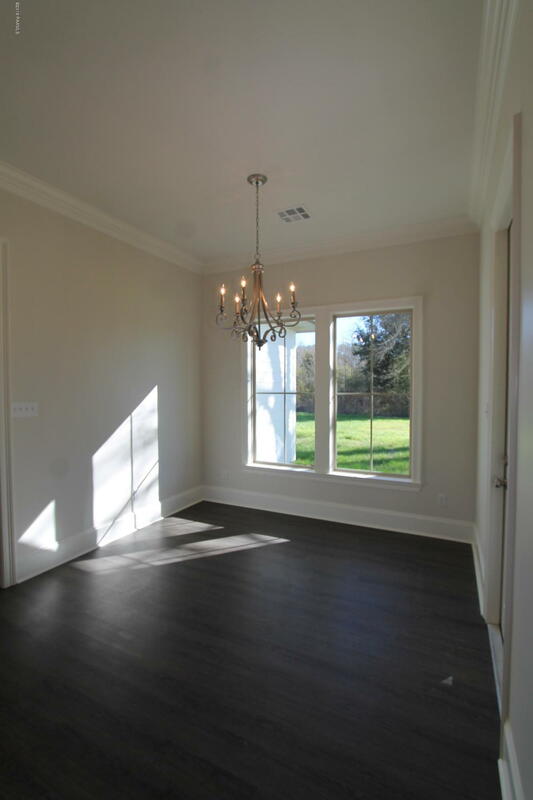 Enter the home and notice the natural light coming through many windows. 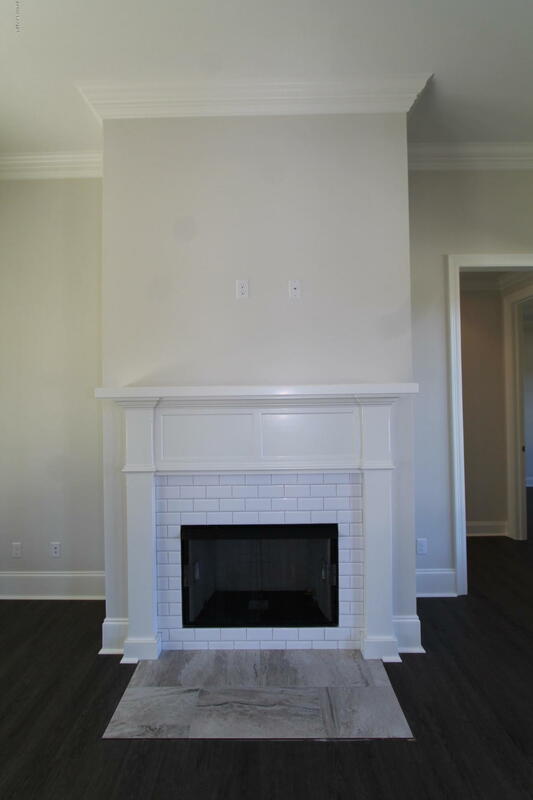 The living room has a gas ventless fireplace, with cable and 110 plug above for you to mount your TV. 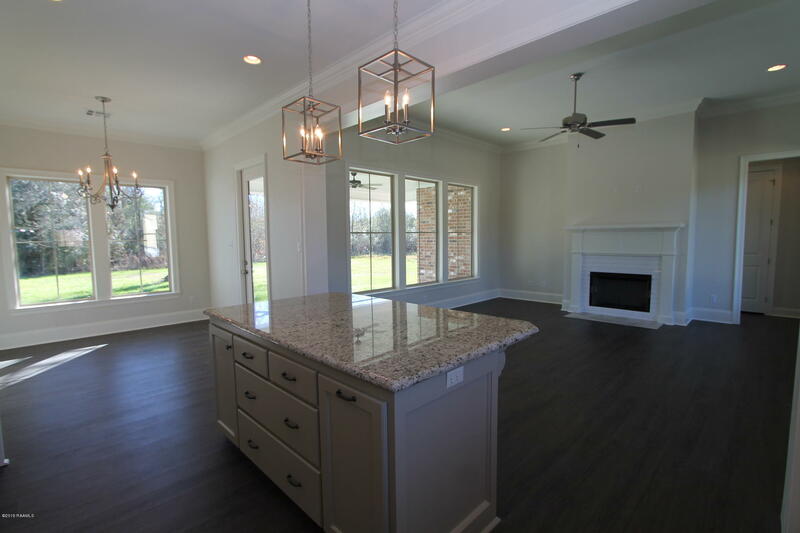 The living room is also open to the kitchen and dining room. 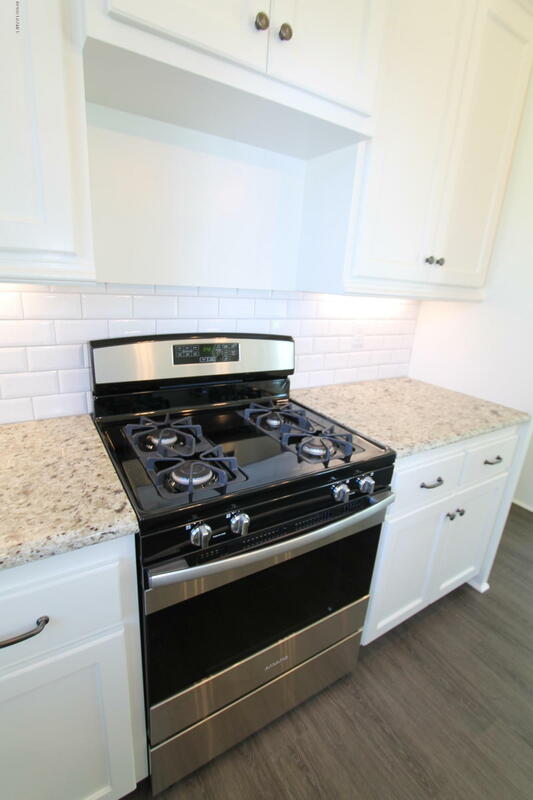 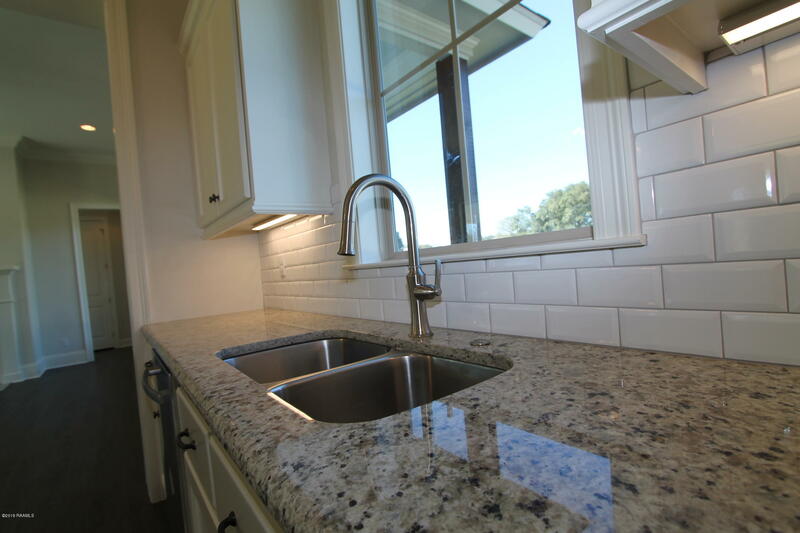 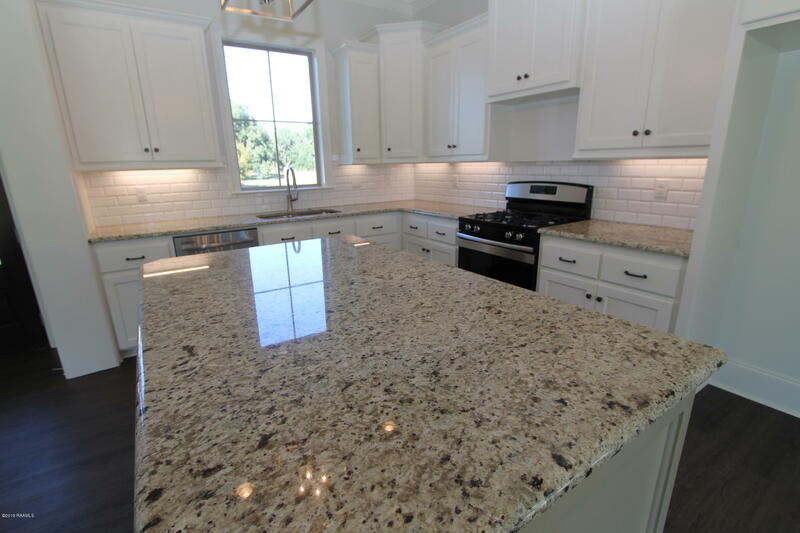 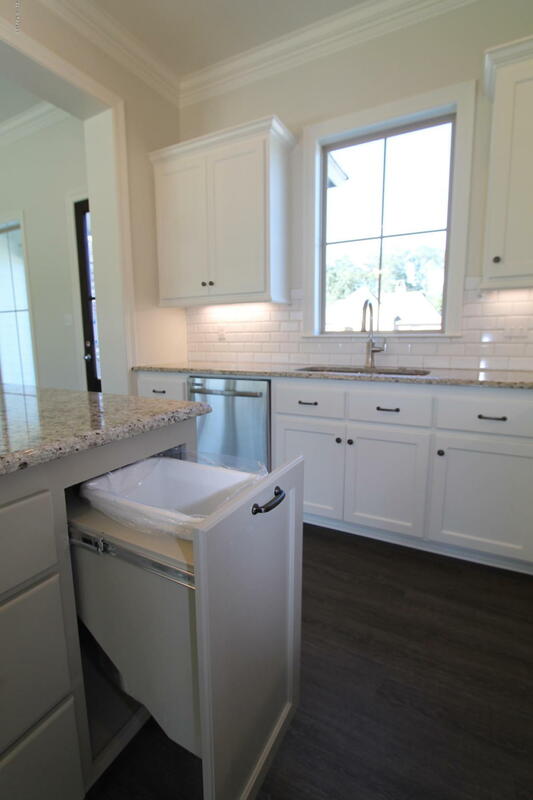 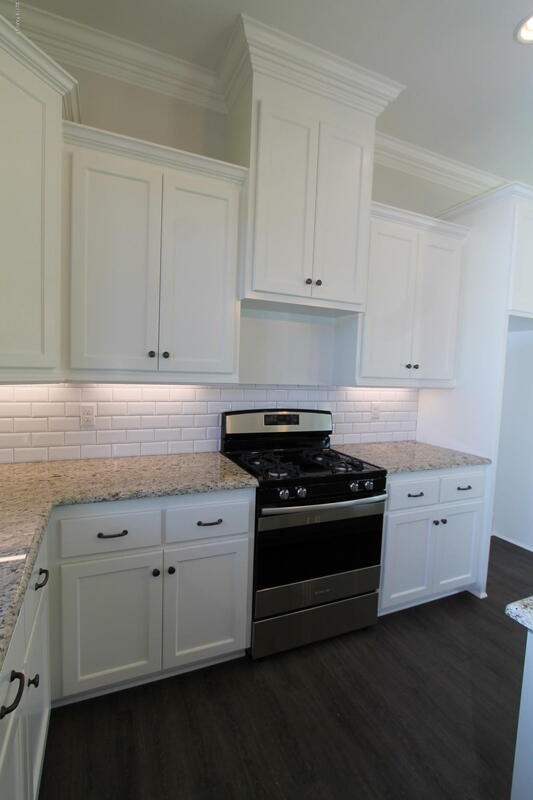 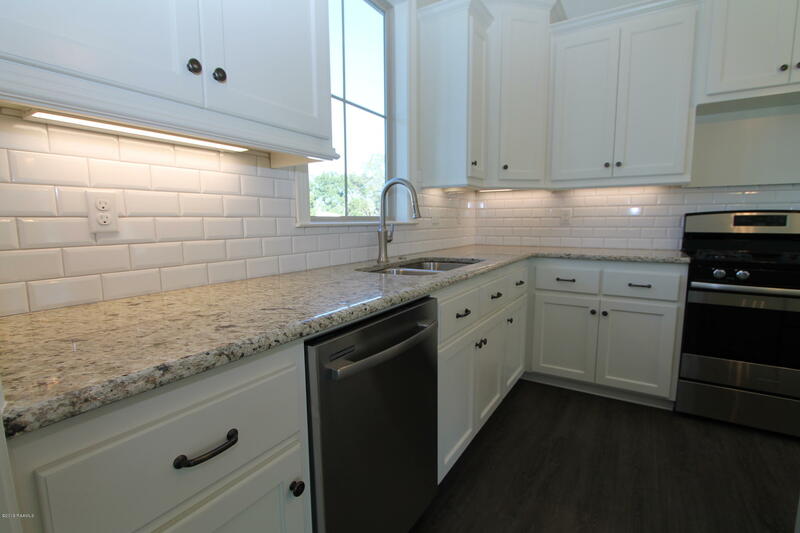 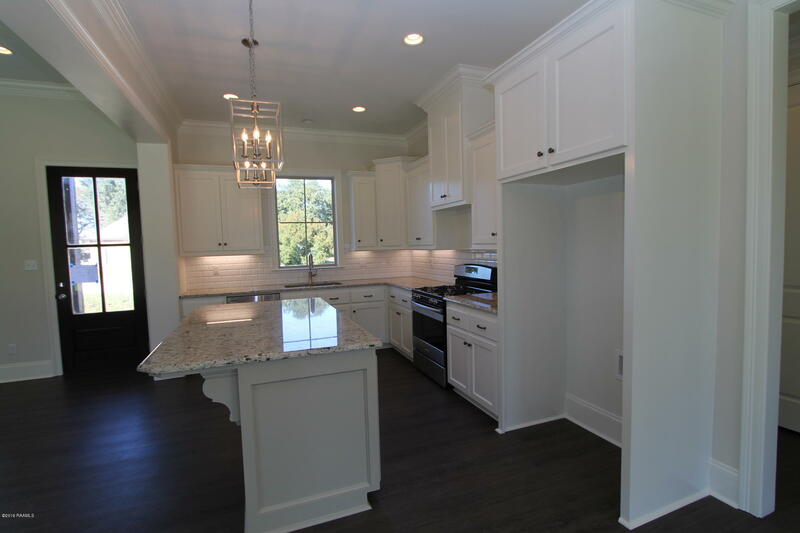 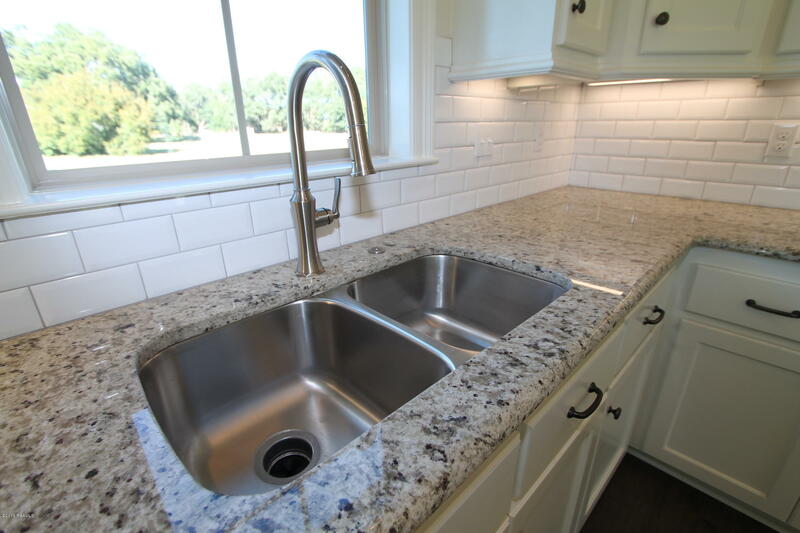 Kitchen has slab granite counter tops, under mount cabinet lighting, custom painted cabinets, pot drawers, hide-away trash can, white subway tile backsplash, stainless steel appliances and undermount kitchen sink. 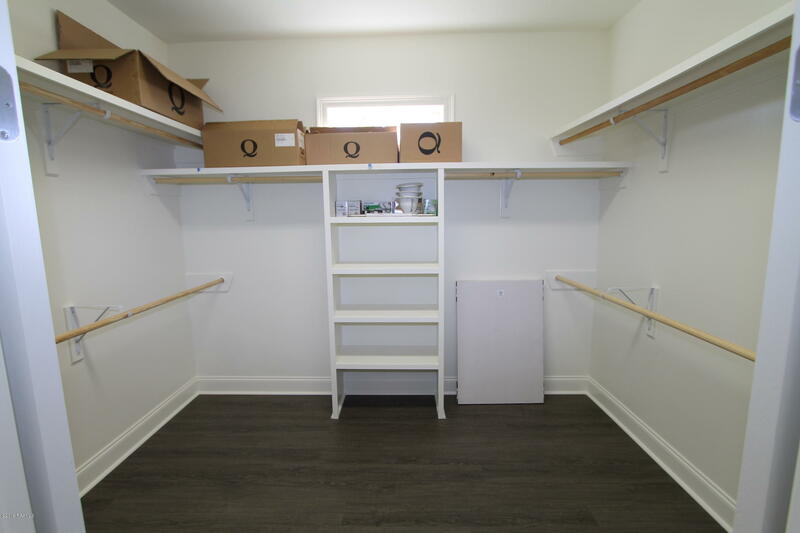 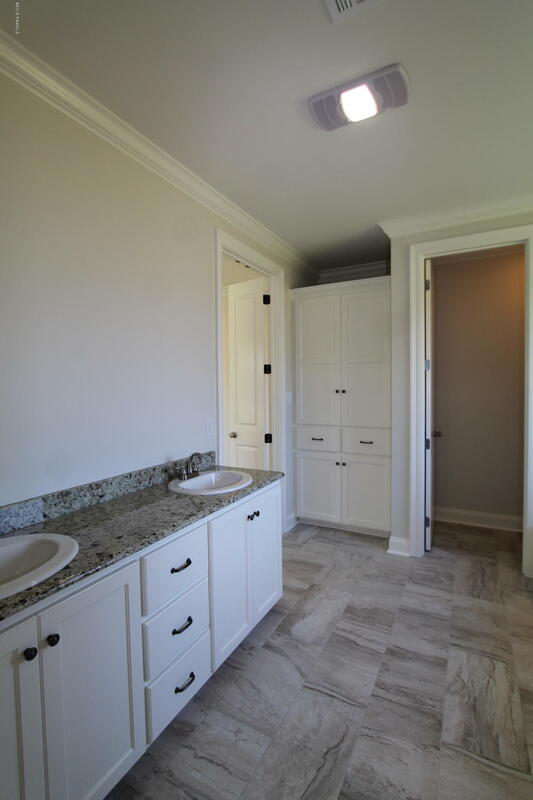 On one side of the house, there is the laundry room, a pantry, garage, a mud area/drop zone and the master suite. 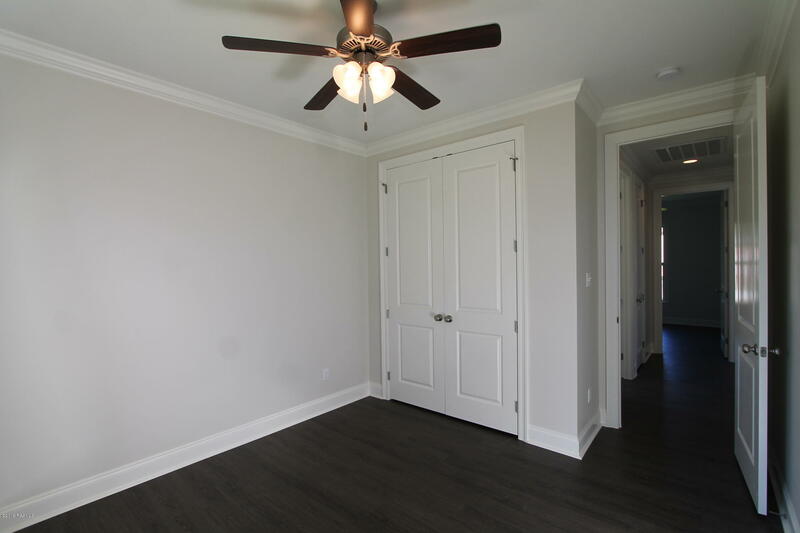 The master suite has no carpet (neither does the rest of the house) and twin doors going to the master bath. 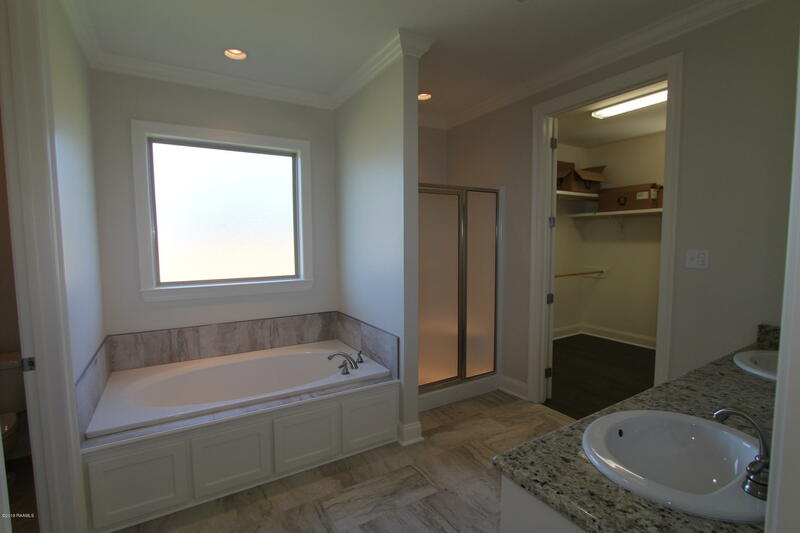 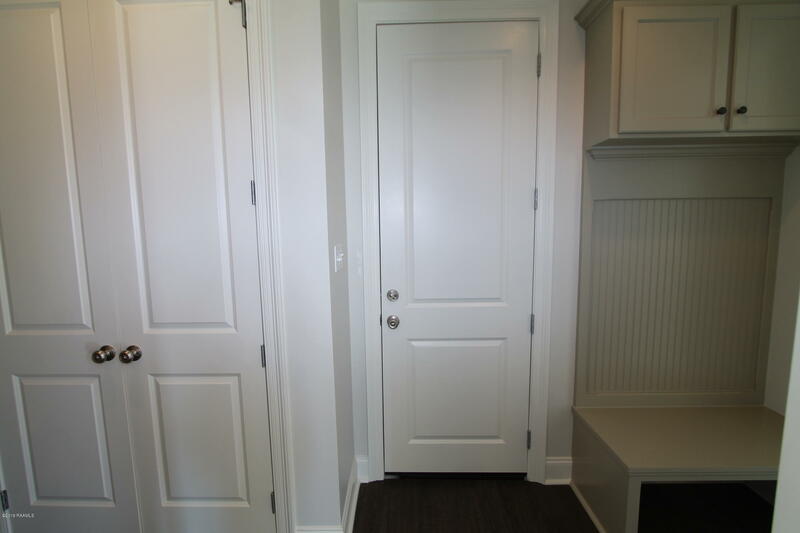 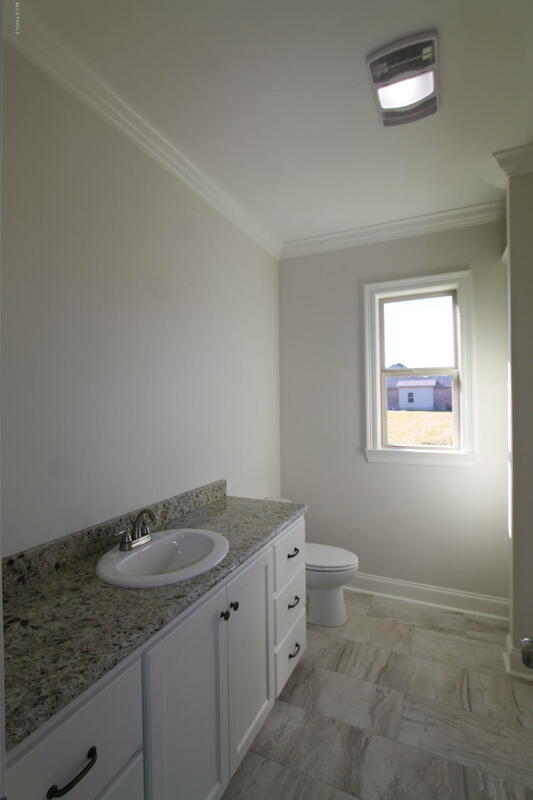 The master bath has plenty of cabinetry, dual sinks, separate water closet/toilet room, separate soaking tub with a tub deck for bath accessories, walk in shower and huge master closet. 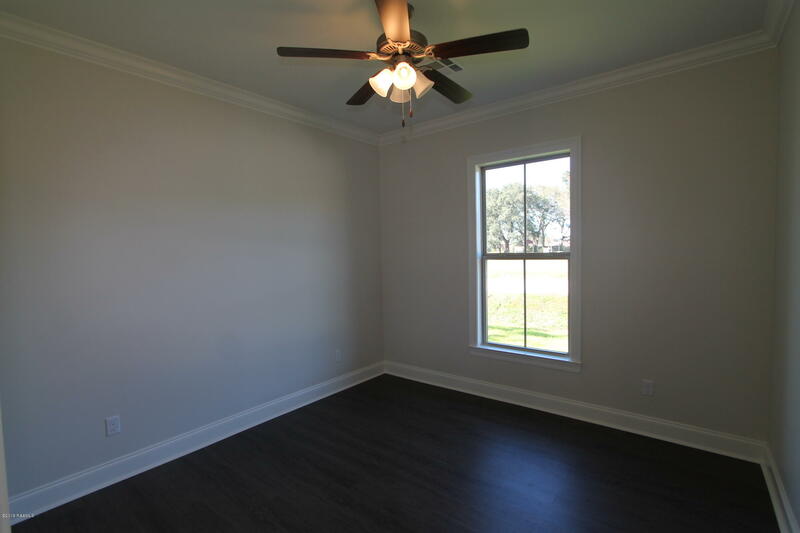 On the other side of the home are the spare bedrooms and spare bath. 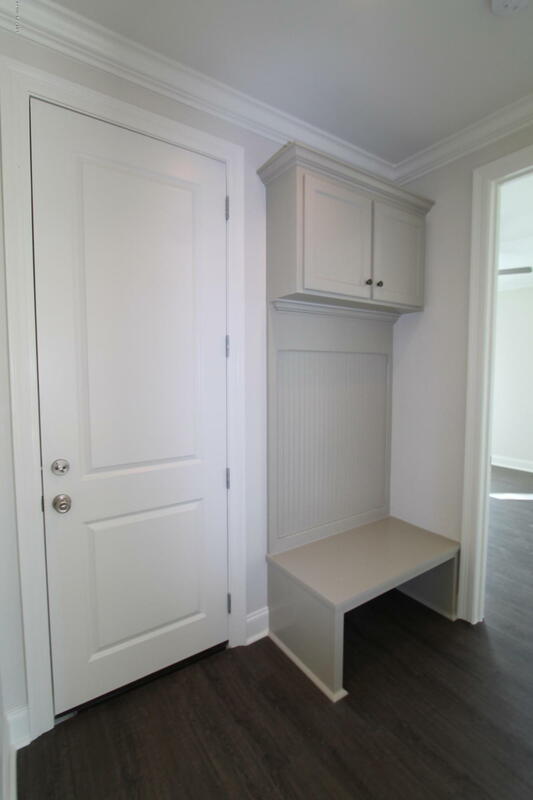 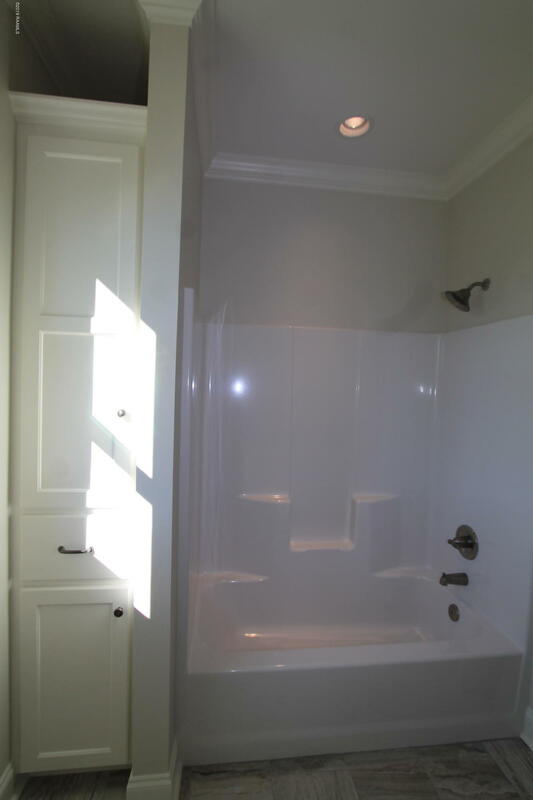 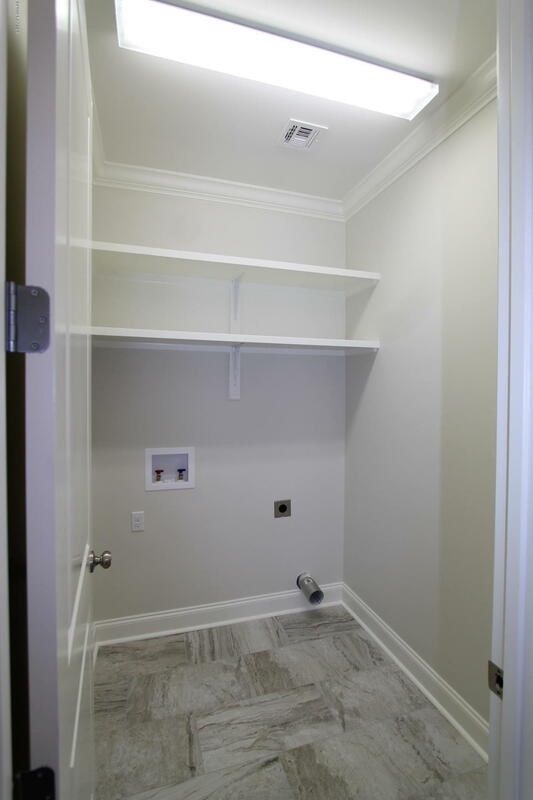 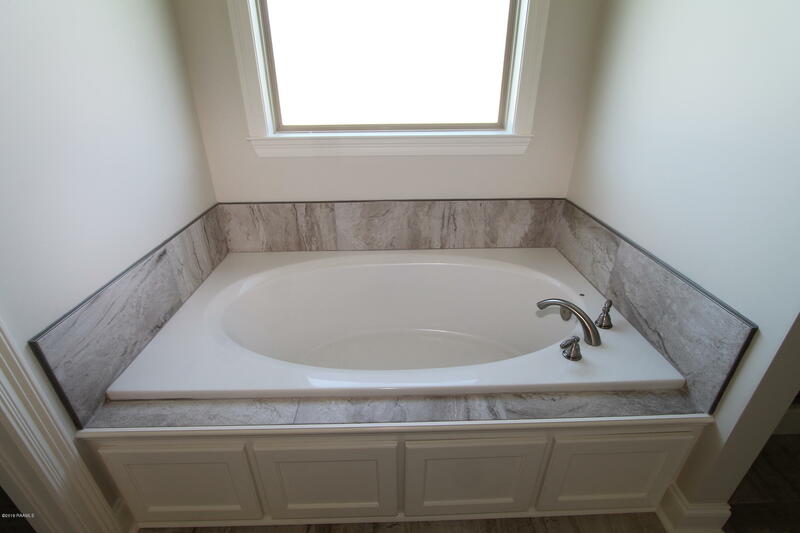 Spare bath has a linen closet and one sink with plenty of counter top space. 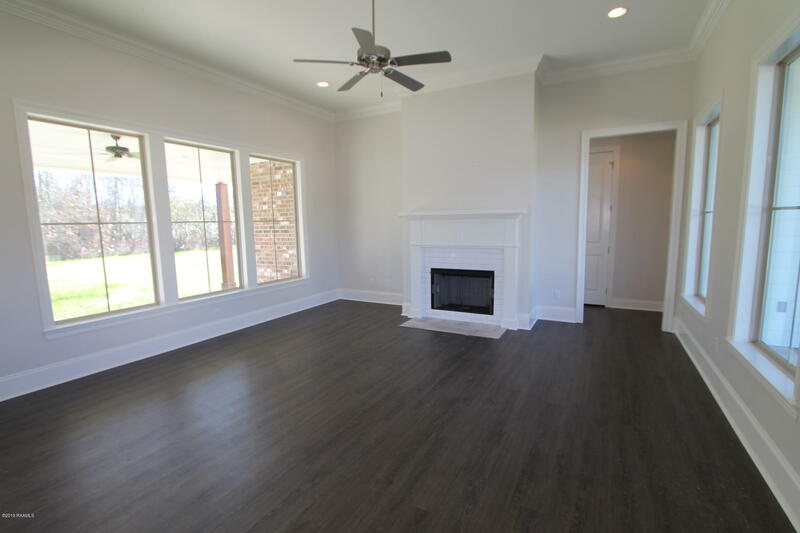 Outside of the home you will find a large patio with cable and 110 plug overlooking your big backyard with mature trees. 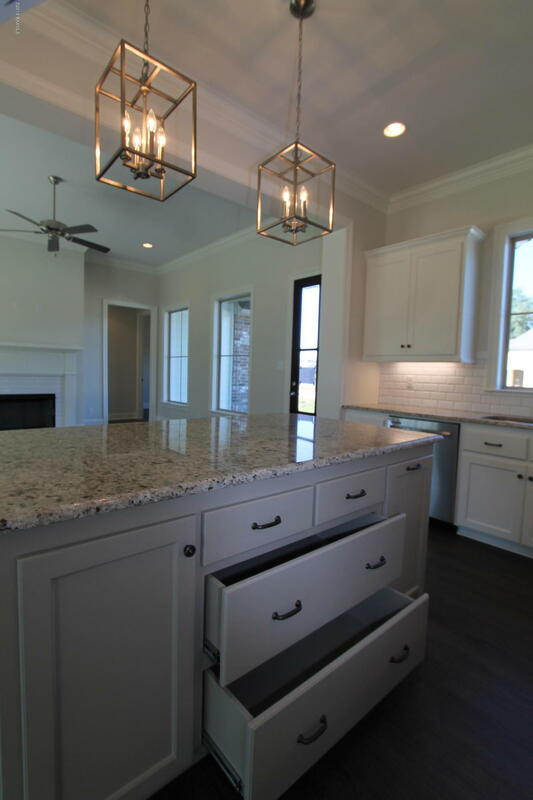 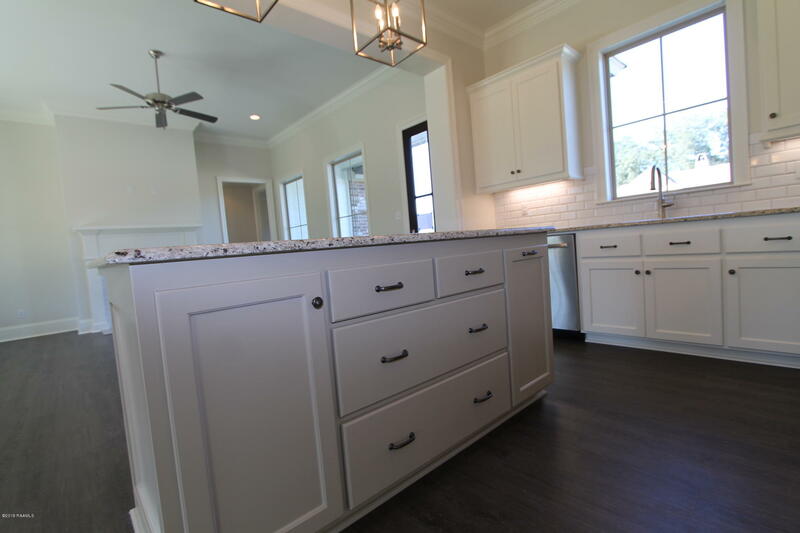 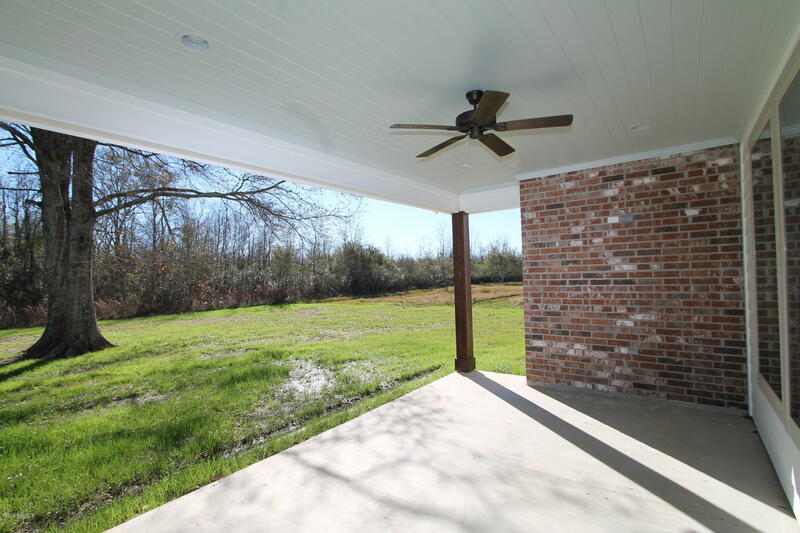 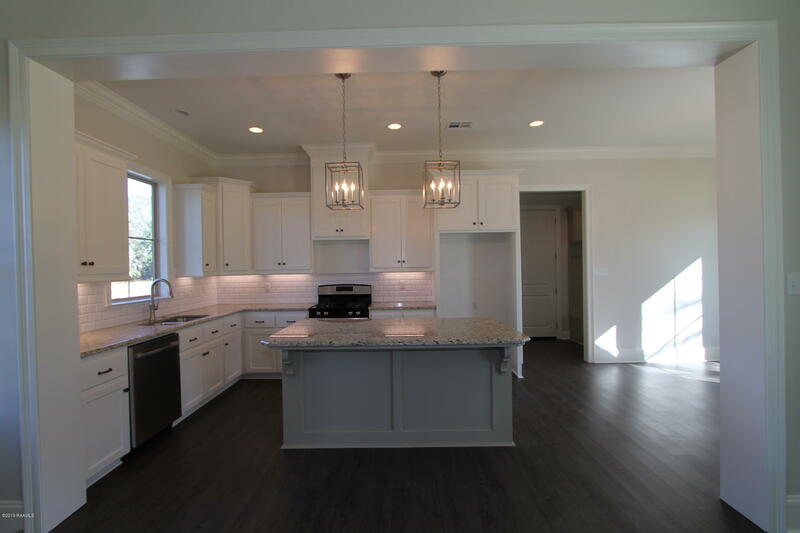 Take a drive out to Meaux and come check out this charming, modern farmhouse on a large lot! 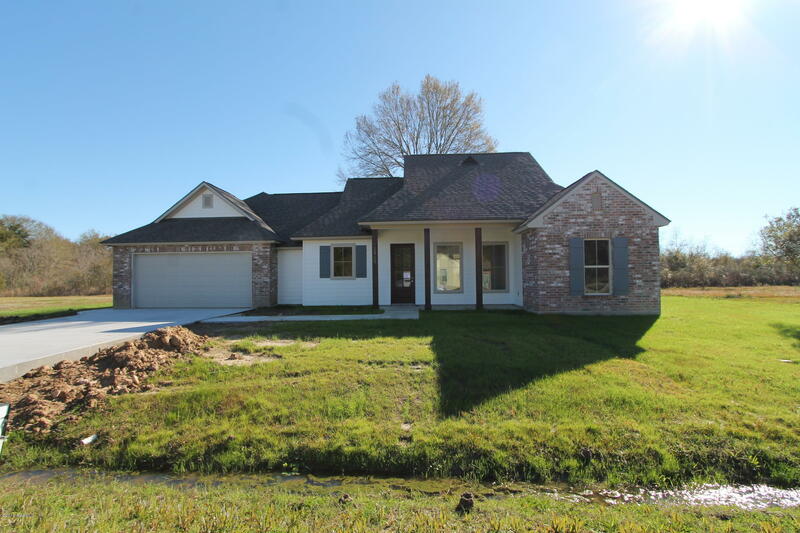 From Lafayette: Johnston St/Hwy 167 through Maurice. 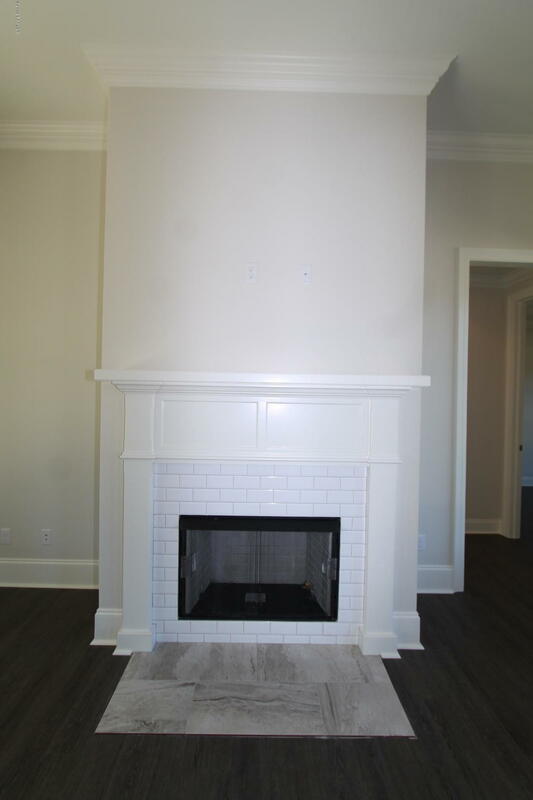 Take Right onto Hwy 699 to Left on Hwy 343. 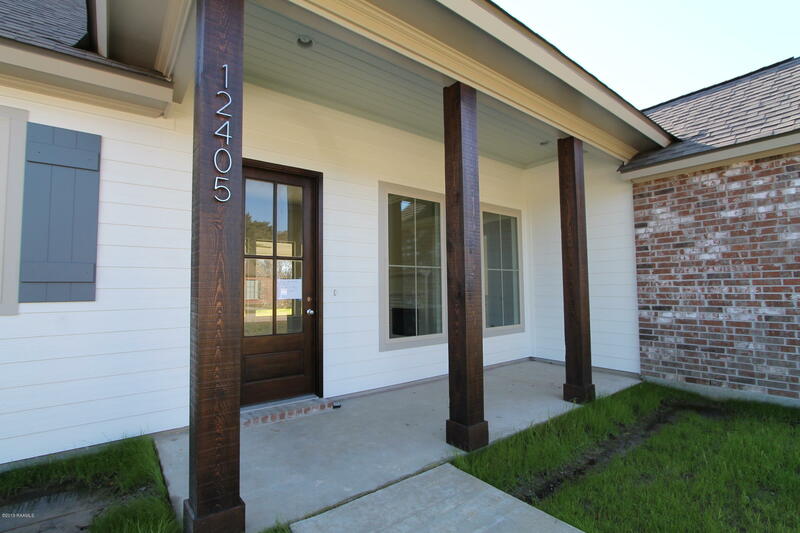 By Meaux Elementary. 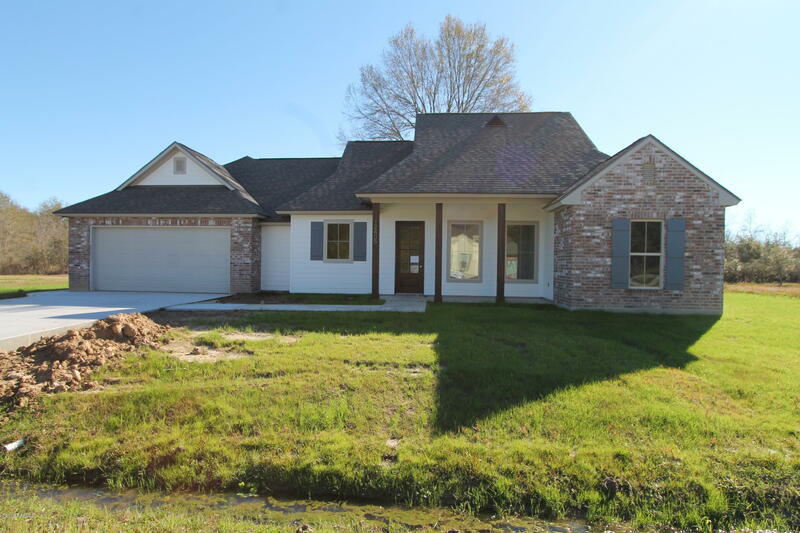 Subdivision will be on Left and Home is in the back, past two curves, on the right.